These gorgeous lollipop Gardenias have a nice neat shape, but what you can't see in the pictures is the heavenly fragrance when the buds open into the lovely cream flowers. These would make a real statement situated either side of a pathway or entrance to your home. 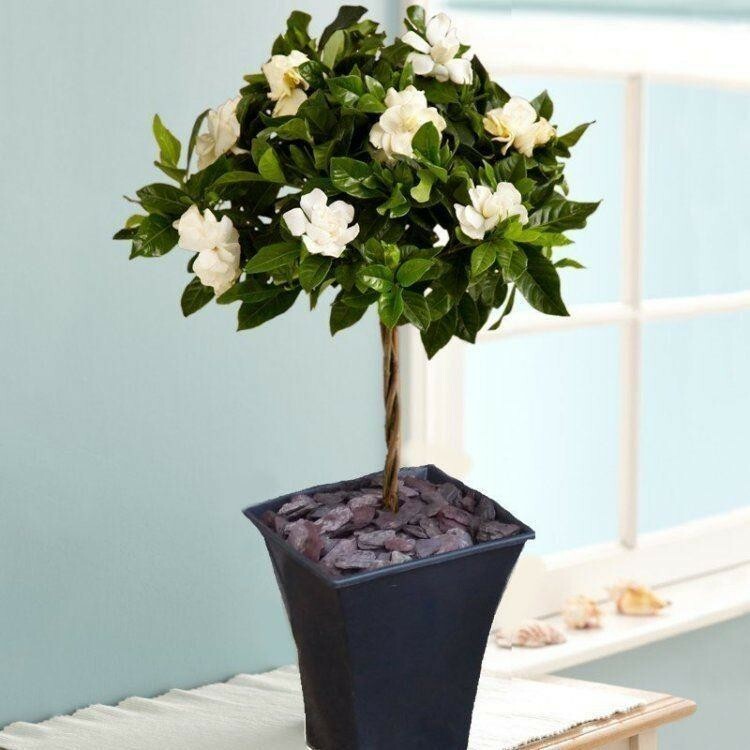 Why not spoil a loved one or yourself with a luxurious gift of one of these fabulously fragranced Gardenia Trees? Rarely seen in standard topiary form like this, these handsome Gardenia trees capture both the senses of sight and smell with sumptuous pearlescent blooms, glossy foliage and exotic perfume - one of the finest in the plant world. When in bud and starting to bloom, these trees tantalise the lucky new owner with a long-lasting display of opulent beauty and fragrance. Gardenia's are always very popular, are easy to care for and long flowering. They'll thrive outdoors in summer, all you need to do is to remove the spent flowers to keep them blooming for months. They can also be grown indoors in a bright position all year round. 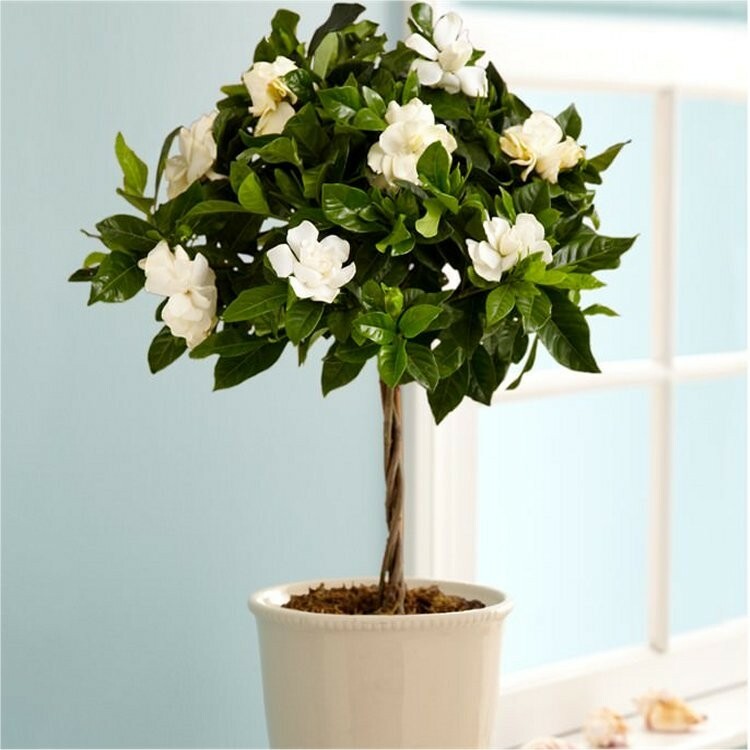 This Gardenia tree is supplied with a clear stem and overall approx height of 70cms ready for display, at the moment these plants are covered in buds and fragrant blooms and will continue to produce these all summer long.